The Montana World Trade Center joined representatives from Canada and Mexico on Tuesday to discuss stalled trade talks and what happens to manufacturers and producers if the USMCA trade agreement isn’t ratified. With the 1993 North American Free Trade Agreement in doubt and the USMCA pact stuck in the mud, uncertainty now threatens to undermine longstanding commercial trade and impact hundreds of thousands of jobs. Every year, Thomas travels on a trade mission to Mexico to boost Montana barley exports, a key ingredient in crafting Mexican beer. He recently sat with one Mexican brewer who bought 100 percent of his malt grains from Montana until 2016, about when President Donald Trump set out to overturn established trade agreements, injecting uncertainty into the market. The Mexican brewer, in Thomas’ example, now buys half of his barley from Europe. Experts on Tuesday’s panel, hosted by the Montana World Trade Center in Missoula and joined by affiliates in Denver and Kansas City, agreed the North American Free Trade Agreement played a key role in establishing mutually beneficial trade networks among the three nation partners. But in 2016, Trump called NAFTA “the worst deal ever” and moved to renegotiate the agreement, raising doubt about its future. New trade talks began in 2017, resulting in USMCA in the fall of 2018, though it has never been ratified. Sander Lurie, a public policy expert at Denon’s Law Firm in Washington, D.C., said given the political discourse in the nation’s capital, ratification isn’t expected any time soon. Trade experts believe the resulting uncertainty threatens to undermine longstanding trade agreements, including those with Montana’s biggest buyers. Canada alone buys more U.S. exports than China, Japan, the United Kingdom and South Korea combined. In 2017, that included $674 billion in U.S. goods, amounting to $1.3 million in trade every minute. Add it up and it sustains 25,000 jobs in Montana and 141,000 jobs in Colorado, according to Jerome Pischella, the senior trade commissioner with the Canadian Consulate General in Denver. Pischella also expressed concerns with the tariffs slapped by the Trump administration on longstanding U.S. partners, including Canada and Mexico. That includes steel and aluminum, both key components in the manufacturing, aerospace and auto industries. Montana is home to both the manufacturing and aerospace industries, including others impacted by steel and aluminum tariffs. Tariffs and disruptions in the supply chain also have risen as concerns at the World Trade Center in Denver, said Katie Pagano. The state is home to a wide number of industries that rely heavily on trade with Canada and Mexico. 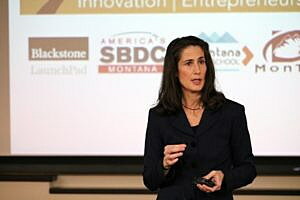 Montana’s economy has traditionally been driven by agriculture and resource extraction, though other industries are catching up, including technology and manufacturing. Questions from certificates of origin and the protection of intellectual property could be implicated by the future of the USMCA agreement.